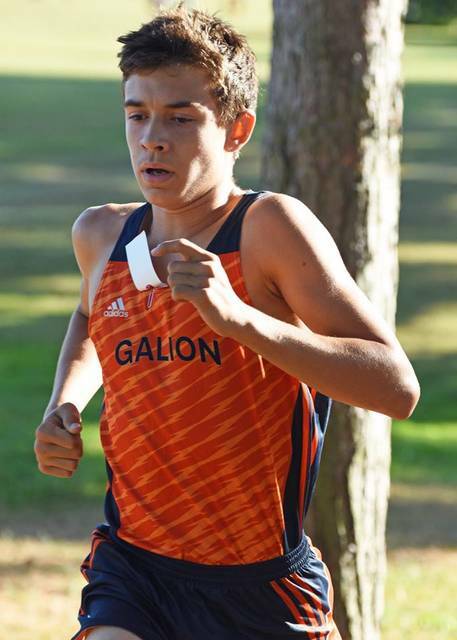 GALION — The Colonel Crawford boys and girls teams won both individual and team championships at Saturday’s Crawford County cross country meet at Amann Reservoir Park. Galion was second in both varsity races. Rounding out the placements on the boys side were: 3. Wynford Royals; 4. Bucyrus Redmen and 5. Buckeye Central. Crestline was also in action but only had three runners in action. Chad Johnson from Crawford was the boys champion, crossing the finish line in 15:55.82. The Tigers’ Braxton Tate finished behind Johnson with a time of 16:50.75. Crawford County boys cross country meet Saturday, Sept. 23, 2017, at Amann Reservoir. Photo by Don Tudor. For the meet, the Eagles had four boys finish in the top-10 and Galion had three. See more photos from the boys meet in our online gallery. Wade Hopkins finished in fourth for Crawford with a time of 17:46.96, ahead of his teammates Braxton James (18:03.24) and Alex Mutchler (18:05.13) that finished fifth and sixth, respectively. In addition to Tate, the Tigers got a seventh place finish by Brendon Ganshorn (18:21.45) and a 10th overall finish from Nathan Eckert (18:41.34). 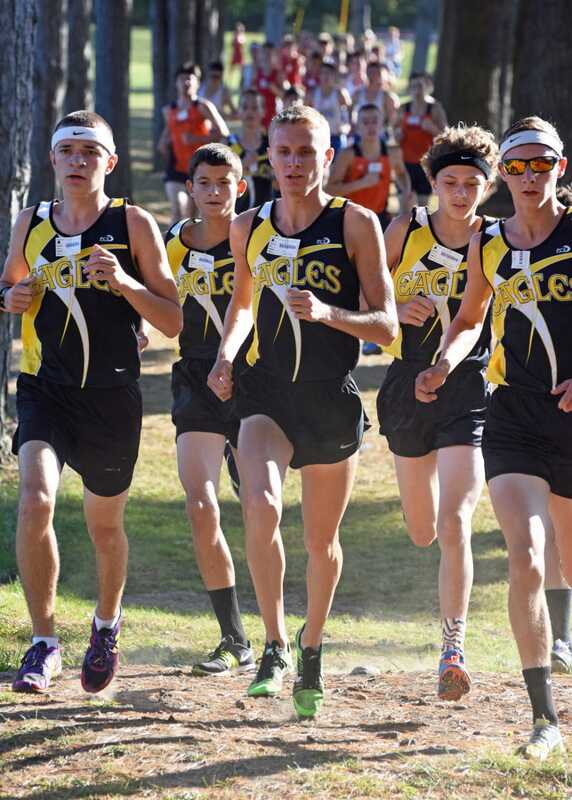 Other Eagles running on Saturday were: Zach Leonhart- 18:55.68; Jacob Hoffman- 19:00.59; Mason McKibben- 19:13.59; Alex Lawson- 19:40.54; Brandon Bauer- 21:34.70 and Bryce Tieben- 24:54.60. 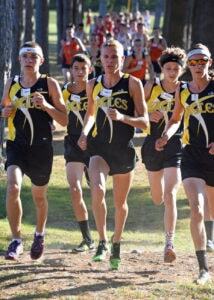 Other Tigers running on Saturday were: Weston Rose- 19:00.31; Luke Eisnaugle- 19:32.58; Garret Murphy- 19:39.11; Hunter Parsley- 20:10.63; Kurt Ensman- 20:14.54; Simon Shawk- 20:15.45; Zach Slone- 20:40.79; Braden Horn- 20:48.89; Mikey Stover- 20:59.22; Spencer Guinther- 21:29.38; Grayson Willacker- 21:34.99 and Ben Alstadt- 24:30.87. Crestline Bulldogs in action on Saturday were: Gavin Balliett- 19:43.09; Blaine Barker- 25:49.23 and Wesley Patrick- 27:07.80. Rounding out the placements on the girls side were: 3. Buckeye Central and 4. Wynford. Bucyrus and Crestline were also in action but did not have enough competitors to place. Courtney Britt was the girls champion, winning the race in 21:21.98. Airyona Nickels from Galion was the runner-up in a time of 21:25.14. Crawford County girls cross country meet Saturday, Sept. 23, 2017, at Amann Reservoir. Photo by Don Tudor. The Lady Eagles took six of the top-10 spots on the day and the Lady Tigers had two. 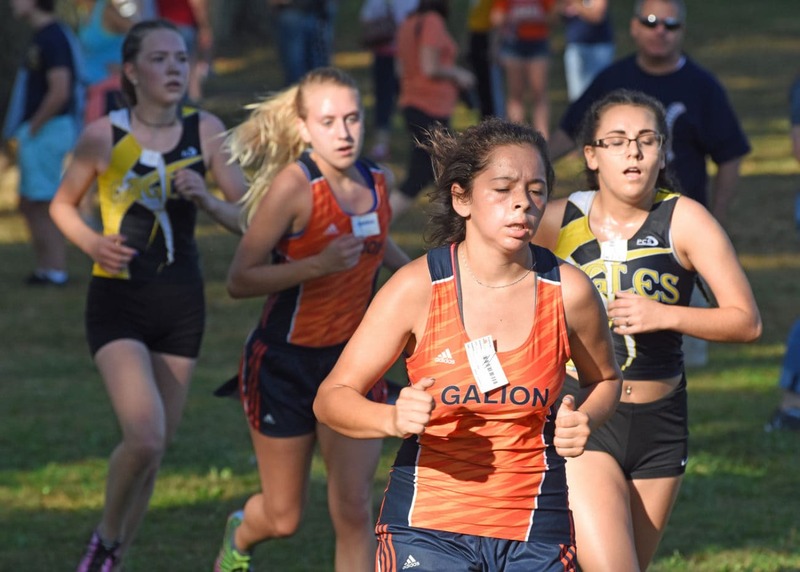 See more photos from the girls varsity race in our online gallery. Ally Hocker (21:25.36), Kaisey Speck (22:20.55), Kari Teglovic (22:31.07), Alison Manko (22:40.07) and Hannah Willacker (22:49.82) took spots three through seven, respectively, in the field for Crawford. Sari Conner joined Nickels in the top-10, finishing eighth overall in a time of 22:57.33. Theresa House just missed out on a top-10 finish, taking 11th in 23:24.34. 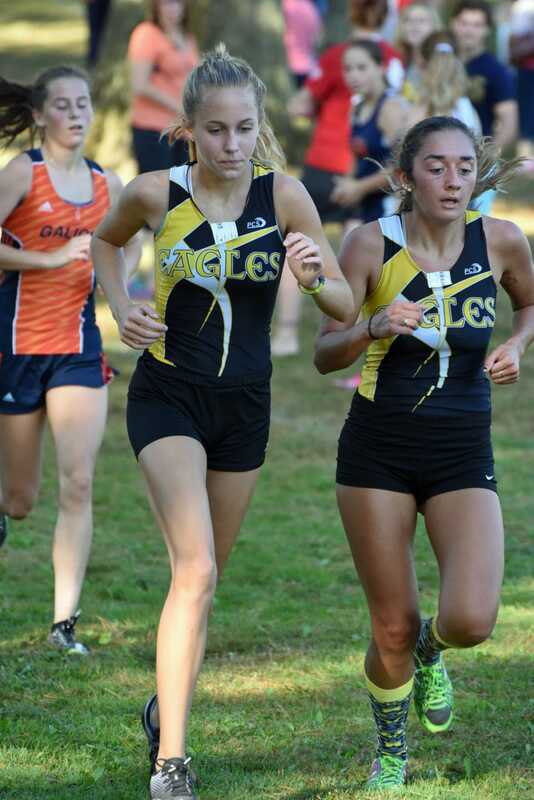 Other Lady Eagles running on Saturday were: Katie Hopkins- 23:28.45; Courtney Lyons- 23:31.88; Alivia Payne- 25:06.63; Abby Hocker- 25:07.20; Emma Swisher- 29:11.33 and Macie Dicus- 29:46.87. 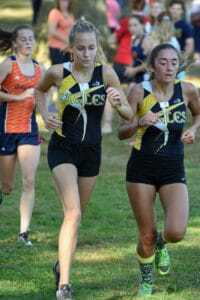 Other Lady Tigers running on Saturday were: Murissa Windbigler- 23:30.58; Ashlie Sallee- 25:28.41; Cheyenne Blair- 26:03.50; Amrara Ratcliff- 30:07.51 and Ashleight Wright- 36:14.41. Crestline’s Caitlin Harley was the only Lady Bulldogs runner in the field at the County meet and finished 17th overall in a time of 24:11.49.